Louella Ferrell, 93, of Madison, went to her eternal home on June 26, 2018, surrounded by family. Louella was well known in the Madison area where she worked for many years. 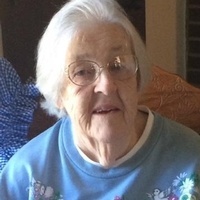 Gladys Lillian “Rick” Holland, 91, died June 27, 2018, in Lerona, WV. 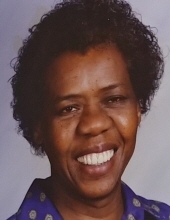 Melvan Lee “LeeBo” Henson, 65, of St. Albans, passed away Tuesday, June 26, 2018, at Oak Hill Hospital, Brooksville, FL. Rosemary Bailey Persinger, 72, of Covington, VA, died Wednesday, June 27, 2018, at her residence. Mrs. Persinger was a former resident of Charleston, WV. Thurmond Lenzy “Nunnie” Roberts Sr., 79, of Alum Creek, WV, died Wednesday, June 27, 2018, as a result of an auto accident. Joan Irene Lawrence Ciarocco, 84, was called to be with Our Lord on March 8, 2018, while surrounded by her loving family. She was born in Davis, raised her family in Ohio, and most recently resided in Laguna Vista, Texas.